A Black Fabric Rose symbolizes a tragic romance but may also be used to represent an undying devotion. 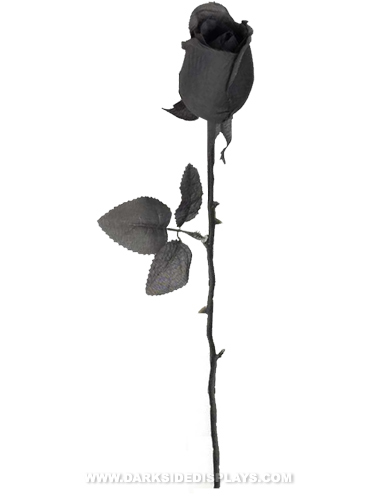 This artificial black rose is crafted from polyester fabric with black plastic stem and leaves. Perfect for your Halloween floral displays and a fitting addition to the decorum of those with a darker aesthetic. Black Fabric Rose measures 20"L. 1 ea.